There is nothing quite like the quiet and relaxing environment experienced while cruising on a river. Experience Florida Your Way! Find your own island, discover beautiful wildlife, do some recreational fishing or just cruise the river at your own pace. The Ideal Fishing Charter! Pure Florida’s Fort Myers fishing charters lessens the hassle and gets you on the water fishing quickly. Fort Myers sightseeing water adventure! Come aboard for a relaxing and beautiful sunset cruise with us. There’s no sunset like one seen from the water! way you experience water adventures in Southwest Florida. 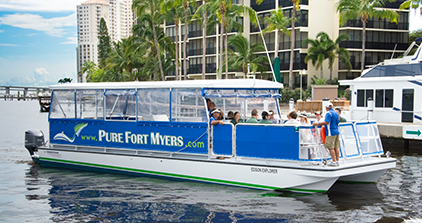 Take a River Excursion on the M/V Edison Explorer – Fort Myers’ newly built passenger vessel. See and hear from our certified captain, naturalist and historian about the Caloosahatchee River and learn about the history, and eco and water system. Sightseeing with dolphins, manatees and local birdlife along the river near the historic Railway Bridge. 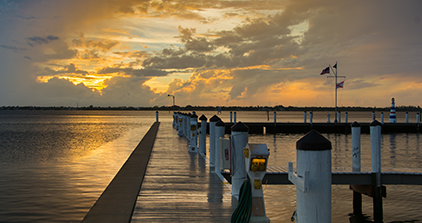 Take the sunset cruise and watch the sun settle down behind the western shore of the Caloosahatchee River (just as Edison and Ford did in their day from their verandahs). Charter the vessel for your private event on the water, or be in command of your own rental boat or kayak. 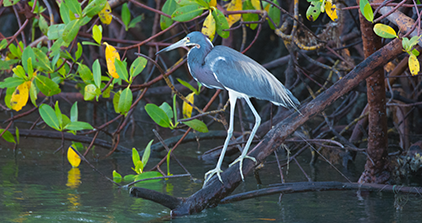 Try a little backwater and river fishing – be it a cruise before or after a visit to the Edison Ford Winter Estates or fine eating experience at Pinchers. 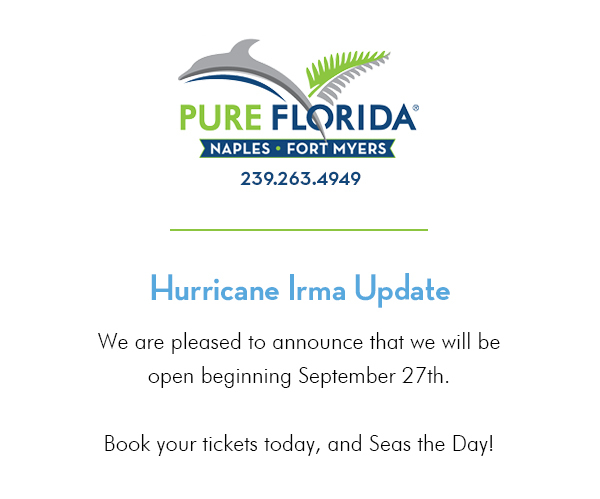 Whether an outing or a daylong event, just a couple or a group, Pure Florida in Fort Myers is Pure Fun for Family and Friends! Planning a Trip to Naples Florida? Experience Pure Family Fun & Thrills!